got quite a bit of mark atkins footage in my video vault. koc's, radlands, rider cup. 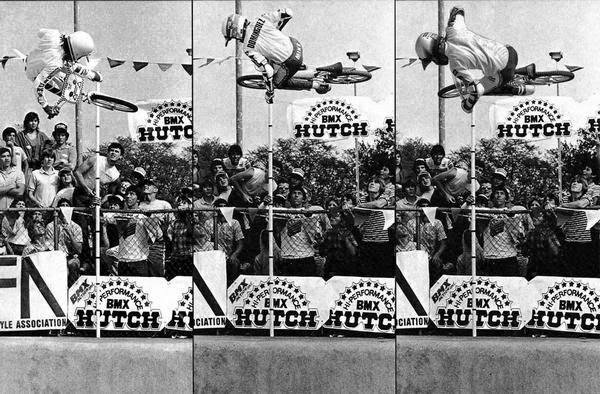 i do recall a visit to ride phil bevans halfpipe in cardiff one sunday aftn. sure they (mark, brian wills and marks dad) were passing thru cardiff so stopped by for a little ride. no footage of that though sorry. Marked down because he was looking after himself??!! Whatever next - marked down 'cos your jeans are too baggy?! its all swings and roundabouts. the ukbfa rule book states you would get marked down for presentation- ie. not wearing uniform, bike looking in a state, etc. then years later the street look is in, pottys rather than full face, etc. 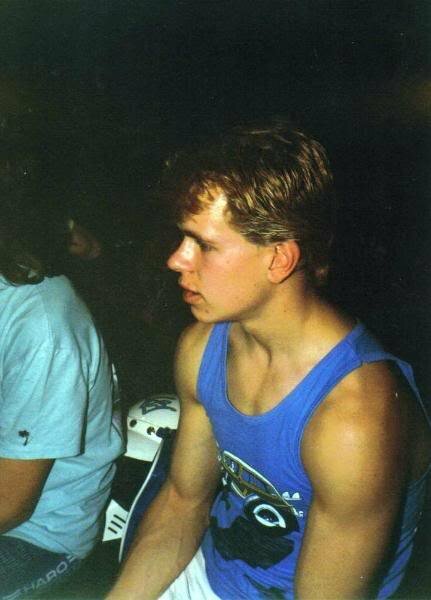 and you get marked down/ lose your credability for wearing a full face on street, etc. .
I,well,my dad thought of a good rider but cant remember his bloody name.His nickname was Biff and he rode Romford.He was the mad head who jumped from the quarter pipe to the balcony at holeshot back in 86/87. 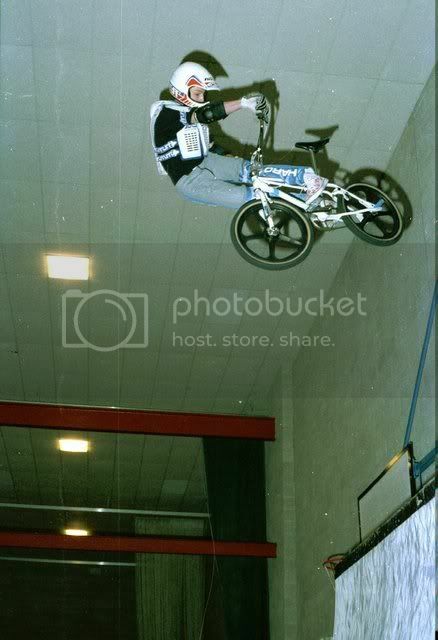 Another good rider was Jason Hall(Baz).Rode for halfords years ago but was amazing on vert.He crashed in a UKBFA contest in Poole missing the 5ft wide quarter. I caught up with him a few months back, he works in a shop called half pipe in London, was good buddies bitd, always rode rom and Chingford together along with Neil R (rip). Was riding Rom mini with Chris at Old Fools 4 this year - he's still got it! Well fook my old boots.... That's me... Where was that photo took? How the devil are you? If your still in leicester, we need to get together and ride or drink... your call. I'll bring jonny marror with me. Haha!! Brilliant!! How HIGH is that lookback!!! I think it was the Sands leasure centre?? Well! I'm glad someone finally mentioned Mike Canning....although he kinda rode for Skyway & we all knew he was amazing, I'm sure he got the short end of ths stick behind Neil, Craig & Carlo.......The guy was ahead of his time! remember Hoffmans Indian Air Candybar...Thats was a Canning creation, he called it the "Turkish Delight"...Get it? Indian canybar. ..pretty smart in my opinion. The guy was ahead of his time. Laidlaw, Guillote, Reynolds & Brown too....some of my best friends at the time. This is one of the best threads ever!!!! John? For real? Man, now I'm really stoked! I just figured there was SO many people that didn't get the credit they deserved! My opener was a perfect example, nobody mentions Donovan Ritter these days and the guy was awesome! As we all know Mike D was way ahead of his time and DR was around at the same time as Fiola, Sigur, Dominguez etc. etc. but he NEVER gets a name check, weird! Ritter is the one on the far right...obviously! And by the way, Fiola won the highest air that day but you can clearly see he didn't! John Povah in the house! How the devil are you?! 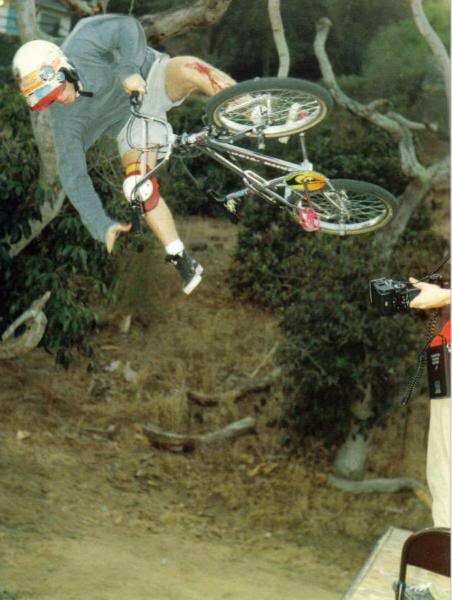 good to see pics of these two..
Chris Potts was a pretty good vert rider too!! Damn - just went through the thread and realised I'd already posted that pic - doh! Arghh... look at his knee!! Love the pics - where'd you get the one of him on the Sport at Del Mar? It's cool - and damn high! I think you've proved your point there Daz!